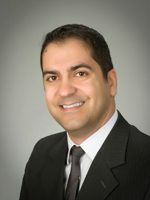 Dr. Samir Shaia is our non-operative spine physician. Specializing in acute low back pain, cervical and lumbar degenerative disc disease, non-operative medical management of spine disorders, and interventional spine procedures, Dr. Shaia offers many non-surgical options, including fluoroscopic injections. For an appointment with Dr. Shaia, please call (440) 892-1440.